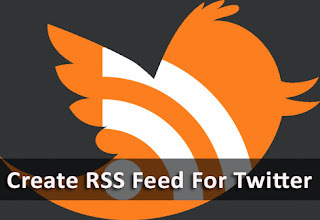 How To Create RSS Feeds For Twitter Profiles? Twitter recently dropped support for RSS feeds, which caused quite an inconvenience. RSS feeds make life easier, and without them, you cannot use your data elsewhere. Twitter RSS feeds used to let you track search results, import your Twitter timelines to your blog, and cross-publish your tweets on other platforms as they are tweeted. These features are no more. Do not despair though, for there is another solution you can make use of to create RSS feeds for Twitter Profiles. I say Twitter 'profiles', and not 'profile', because the usage of RSS feeds goes beyond simply your own profile. 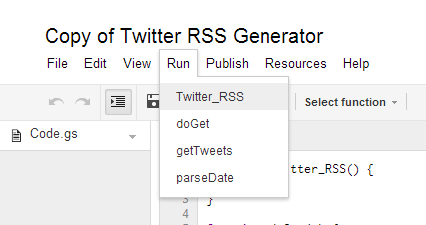 You can create RSS feeds for various Twitter streams, and that includes not only your timeline, but also Twitter search results for specific keywords (infinitely useful if you ask me! ), other users' timelines (example, the people you follow), and even Twitter lists. If you know what IFTTT is, then another advantage of having RSS feeds for you is to be able to set up IFTTT recipes that trigger to perform a certain action whenever you post a new Tweet (for example, publish it to Facebook etc.). Missing the RSS feeds already? Let's look into working around the problem and creating a feed for and by ourselves. To work around this problem, we'll have to make use of a Twitter widget and a Google Script. Even though Twitter dropped support for RSS feeds, it still offers widgets for bloggers and webmasters to embed Twitter timelines into their website. Utilizing these widgets, along with a customized script from Google, we can turn them into RSS feeders of sorts. Open up your Twitter homepage, and then click on Settings at the top-right. Now go to Widgets, and add a new widget. Create a widget you want to generate RSS feeds for. For example, here you can create widgets for user timelines, search results for specific keywords, Twitter lists, etc. Once you have created a new widget, note down its ID. You will need the widget ID later while running your script. The ID of a widget can be found in the URL of that widget. Create a copy of the Google Script by clicking here. Click on Run >> Twitter_RSS to start-up the script. Click on Continue, and then Accept to grant permissions to your app. Now, you're all set and ready to publish. Go to Publish >> Deploy as Web App. Click on the Save New Version button, and then under Who has access to the app, select Anyone, including Anonymous. Now Deploy your app! Append your Twitter widget ID to the URL as shown below. The ID for our widget was "407558739877568513". You're now all set. You can use the URL of this feed for an IFTTT recipe, or subscribe to the feed using Feedly. You might not have as much luck with FeedBurner, however, since that service doesn't recognize feeds generated by Google Scripts (pretty ironic, considering FeedBurner is a Google service).